Our Easter Sunday Service starts at 9:45AM. 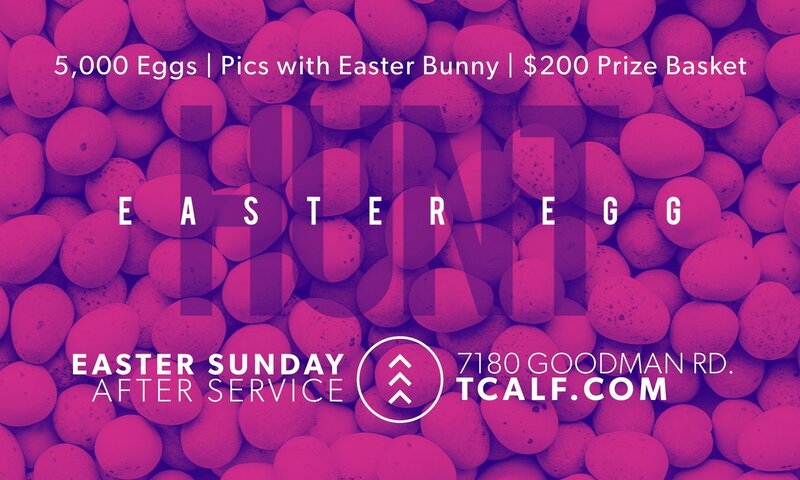 The Egg Hunt starts after the Easter Sunday Service, approximately 11:30AM. We will have separate fields for different age groups so the little ones don't get run over by the big kids. There will be plenty candy and prize-filled eggs for everyone! Click the button below to register for the $200 Grand Prize Easter Basket Drawing. Must be present to win!